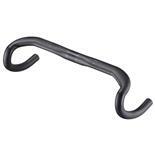 The keystone of Brooks' saddle line. The B17 combines durability comfort and style with an affordable price. They are a bit heavier and take longer to break in than more contemporary designs but the comfort they provide once broken in is why so many still swear by them. Black or Honey leather cover with black steel rails. Loops for traditional English-style touring bag. 280mm Length x 170mm Width. 530 grams weights may vary due to leather thickness. Made in England. 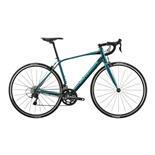 After reading many reviews, I bought the Brooks B17 Champion Standard to replace basically a new seat on a recent mountain bike purchase. The stock seat was just too soft with too much flex for my taste so even though the Brooks line is somewhat expensive, I decided it was time to try one. Maybe I'm just used to a firmer saddle on my bikes but, for me, this B17 was perfect right out of the box. I did follow the recommendation from Brooks and applied the Proofide before attaching to my bike then rode about 15 miles to my 3 mile trail ride and rode home. I did carry my tool set and made a few minor adjustments along the way but it wasn't for comfort, just getting it dialed in. Many Books users have stated that they had some issues with the saddle being slippery and I did notice that at first but have no problems after about 50 miles in the saddle. I think that's going to be an issue on any leather saddle. Also, many others have said they had to put the nose slightly up on theB17 but for me, I set the nose and rear of the saddle level and it's perfect. I've got about 200 miles on it now and it does seem to be conforming a bit more to my backside but still the most comfortable saddle I've used! My bike came with a setback seatpost so the rail length that others have had some problems with wasn't an issue for me. I can't say enough about the comfort of this saddle and will definitely be putting a Brooks of some type on my other two bikes when their saddles need replaced. Brooks fan for life now! As others have stated, the Brooks line is pricey and, though I didn't have any problems, the seat rails are a little shorter than some. Most of the Brooks leather line is quite heavy in comparison to the rest. As stated earlier, after this first purchase of a fine leather saddle, I'm a Brooks convert! It's craftsmanship and comfort outweigh the negatives of being pricey and adjustment issues some experience. 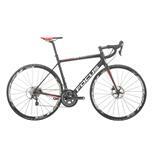 As far as the weight, Brooks has lighter models if I need to go lighter and will for my carbon bike. Heavy, rails have limited adjustment compared to modern saddles, don't get it wet. I've had my standard B-17 for two seasons now. Break in stories scared me but was not an issue. Reasonably comfortable out of the box, even more so over time. The 3 vent holes occasionally caused post ride irritation for first few months. Last year I upgraded to a high end carbon bike. The Brooks seemed out of place on it so I've demo'd a lot of saddles since then (my son works at bike shop) and can't find anything even close to the comfort of my Brooks. So my 16.5lb bike weighs 18lb now, I can live with that because I'm a much better rider when comfortable. I use proof hide a few times a season, on top and bottom. I don't generally ride in the rain, but was on a week long tour last summer, and got caught in torrential rain for an extended period of time. I had no option but to ride the wet saddle, which cause some sores over time. After that trip, the saddle had stretched but I was able to get it right back to shape with a few turns of the front bolt. The finish itself suffered no affects. I'm a believer. Now I welcome any "razzing" from my riding buddies for my hi-tech bike with 100 year old saddle, because I know what they don't. For the record: Yes, it rather abruptly broke in after about 30 hours of riding. No big deal if you are one of those spandex guys. If you are one of those spandex guys you probably want a lighter saddle. A little more of an issue if you are a short-haul commuter like me. Also, do not overlook that this is a pretty comfortable saddle right out of the box. A certain amount of easily washed out staining left on my clothes when I put the dressing on the saddle. I can't complain, really. My legs give out before my hiney now, and that's the whole point. I won't be replacing this thing any time soon, if ever. The price is kind of exploitative and and still not cheap even when you get it on sale like I did. There don't seem to be any credible knock-offs around, and believe me, I looked. This is the one saddle that fits me right out of the box and that says a bit for a leather saddle. I have basic 17s, narrow 17s, titanium 17s, special 17s (with the wide, flush rivets) and they all work for me. I have a 17 purchased in 1980 for my touring bike that still works perfectly. 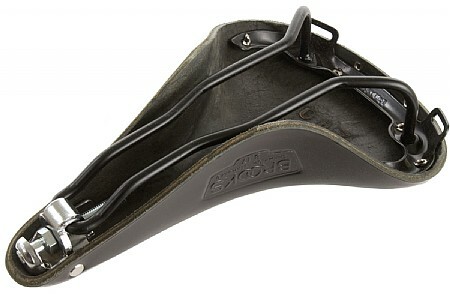 The saddle loops are great for a Carradice/Acorn type bag which comes in handy for unsupported long rides. One down side is the limited rearward positioning due to the short rails. I have often had to increase a stem by a centimetre or two to accommodate a 17. They now come in a variety of colours if you need to style. I am a honey or black kind of guy although I do own a titanium coloured one with titanium rails: very sharp. They need a six month rub down with Proofhide and get a saddle cover for the rain. Do not mess with the nose tensioning bolt: there is a reason the bolt is 3.5 cm so as to discourage the uninitiated. They tend to work best with a touch of "nose up" as you may find yourself with a sensation of slipping forward in the horizontal position. 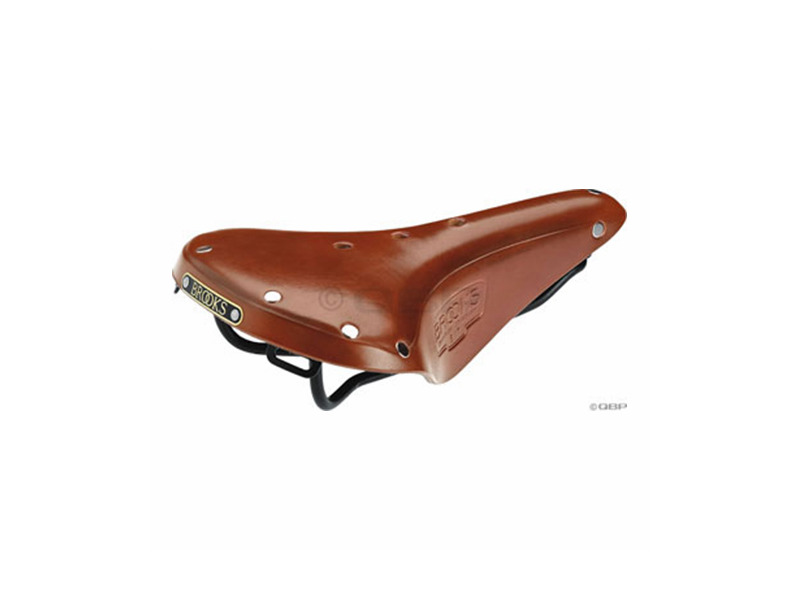 Had a Selle Italia leather saddle MANY years ago, and gave it away with the bike (my mistake!) So kept trying to find something to match the comfort without luck. After about 30 years, bit the bullet and went back to a Brooks. Swift is too narrow, but the B17 fits well. Very well. And the B17 Imperial is as near perfect as possible. Now have 3 years on three different Brooks (three bikes), everybody gives me heck about the "Old Style" seat with no padding and can't understand how it can be comfortable. I just smile and ask again after 10 hours in the saddle. To the guy on the Tandem on Ride the Rockies, you understand. I've done the tour 9 times now, and after 6-7 days in the saddle and 400-500+ miles in the week, am continually surprised when I get on the bike in the morning at the end of the week and have no sore spots. Incredible. Yes, they're heavy. Yes, they take care and maintenance. But what price comfort? To those trying a new saddle, try this old racer's trick. Turn the oven on it's absolutely lowest setting (about 150*). Smear a thin coat of Proofhide on the UNDERSIDE of the saddle, and put it in the oven for about 20 minutes. Repeat. Repeat. Repeat. Repeat. Aren't you got the large tin of Proofhide? Repeat until it doesn't soak up any more. Then go riding. Helps with break in period and with waterproofing. Still needs some care, but is a great way to start a saddle. I average 2000-5000 miles a year for the last 40 years, and won't go back to anything else. Let them laugh at the old fogie on the old saddle. I'll laugh while dancing in the park at the end of the day. And yes, anyone who has done Ride the Rockies, I'm Shark Boy! 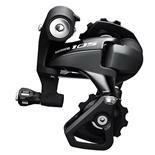 Very comfortable, no numbness or irritation on long rides. Classic looks. Very durable. Competitive price. Needs covering in rain, requires some care & upkeep to prevent damage to the leather. Can potentially wear out via stretching (seems unlikely within a reasonable time period). All in all very happy with the saddle, was quite comfortable right out of the box. With no special efforts it was mostly molded to my rear after ~50 miles - in 90+ FL weather. By 200 miles it seemed to have basically settled into a stable place. Could see break-in taking longer in cooler weather. Was quite slick initially requiring me to raise the nose of the saddle above level to prevent sliding forward. As it broke in the surface has more grip and I dropped the nose a bit. Still above level but quite comfortable w/ no numbness or irritation. Mentioned durability above, being a tough single layer of leather you aren't going to easily to to scrape or damage the saddle in a meaningful way without also majorly damaging something else. Your bike falling over in the garage or driveway isn't going to phase it at all. Did ding my wife's car though. On that topic, the edges are really hard, no padding at all. Not sure I'd want to use it on anything besides a road bike, YMMV. It is comfortable for short and very long rides...day after day. It isn't the lightest saddle...but I could care less. We bought Brooks for our tandem this year 3 weeks before the 450 mile Ride the Rockies over a bunch of 12,000 passes in Colorado...which meant on the tandem we were on the bike 8-12 hours a day. We found the Brooks as comfortable as any of the many saddles we'd tried in prior years on the first day we put them on...and we found the comfortable all day...day after day...on our Ride the Rockies trip. I don't know that they are the most comfortable saddle around...because I haven't tried every saddle in existence...but they are comfortable enough that I doubt I will ever sit on another saddle...unless I'm buying a new bike...and I'll order up my new Brooks as soon as I buy it. And Wallingford in New Orleans...as others have noted...will give you six months to try one out. I bought the B17 standard and my wife has the comparable womans versions. I suspect they are all good. Comfort, comfort, and more comfort. These saddles break into your rear, not the other way around like other saddles. Extremely long life saddle if properly cared for by following the manufactures care recommendations and not some bicycle guru's thoughts. Weight, small price to pay for all day comfort. Long break in period, but again once you get past that it's a lifetime of comfort bliss. 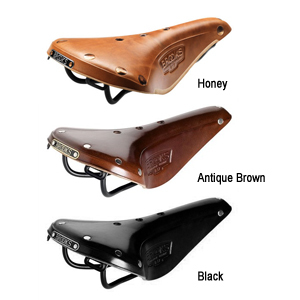 The other con about Brooks is that in the last 4 years they have raised their prices of their lower end ti saddles by about 100% and even more on their lighter racing saddles like the Swift. But even with those prices they will still outlast at least 6 other saddles, thus in the long run be cheaper. 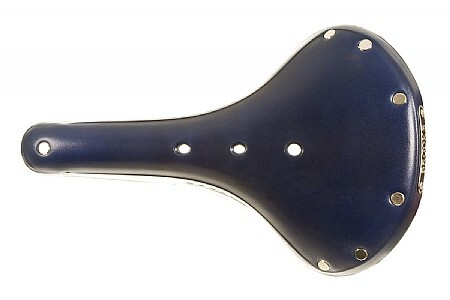 I bought this saddle (actually a B17 Titanium) to go on my touring bike with the sole purpose of long miles. So far the saddle has been very comfortable and still looks great. 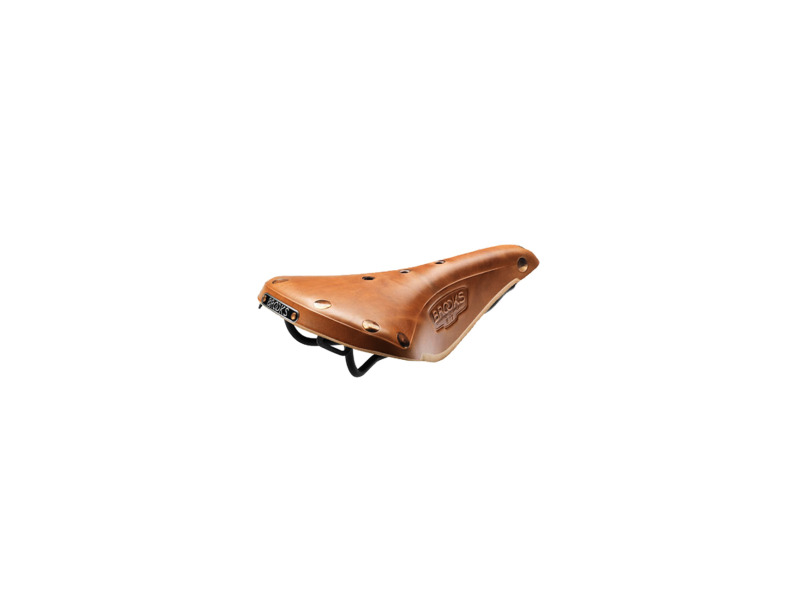 None of Brooks saddles are light, if you want light get a different saddle, if you want comfort in a saddle that can easily last 20 years then get a Brooks. There are some drawbacks to these saddles; some complain of long break in, mine took about 800 miles; some complain of weight, mine's 410 gram. Once you get past all of that you'll be in love with the saddle. Word of advice; only follow the manufactures care recommendations, DO NOT follow someone else's advice and apply anything to the leather other then what the manufacture recommends IF you want the manufacture warranty to be valid and IF you want the saddle to last a long long time. If you're going to expose the saddle to rain I suggest getting a seat cover, their cheap insurance at under $15. I got an Aarvark cover for about $10 and it fits better then the Brooks model. I only use it when it's raining. Brooks Swift TI; Advocet 02 Air 40; Selle Italia Flite; Fizik Antares; Terry Butterfly TI; Selle San Marco Concor; and others I can't recall off the top of my head. Comfort, Comfort Comfort. Looks great on my monarch orange custom Waterford! I have the honey leather with copper rivets. Must be broken in, needs to be maintained and coverered in the rain. Heavy if you care about that. Best saddle I have ever owned. Switched from Terry Fly after a century where I chafed badly. After a wear in period of several hundred miles and careful attention to the manufacturer instructions, I can ride all day in complete comfort. Yes you have to use the rain cover and maintain it but I am an enthusiastic convert! COMFORT!! Looks. Saddlebag loops. Overall quality. Wallbike return policy (you have a six month trial period during which you can return the saddle if you don't like it). Weight (I'm weighing 250# these days after a forced layoff from bike riding due to a bad back so who cares about weight?). I went through several different types of saddles but never found true comfort until I rode my B17 Brooks. I treated it with Proofhide and it quickly molded to my sitbones shape. I've never been a really good long distance rider but I've done more than 50 miles in one day on my Brooks. Loops on rear of saddle are handy for attaching saddlebags. This saddle is very sensitive to tilt angle and for this reason I recommend a two bolt microadjustable seatpost. It can't be slid back too far in the seatpost so you may want to use one with a little offset. 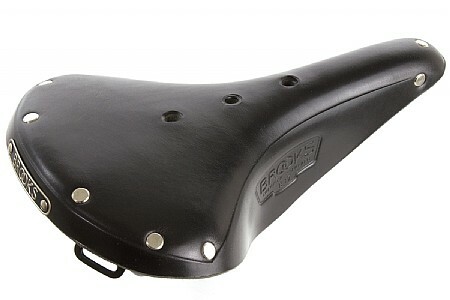 Take a look at any long distance touring bike, more than likely you will see a Brooks saddle on it. Stock Selle San Marco (horrible a$$ hatchet), Koobi Enduro, Selle Italia Flite.